Blaming the dog | Will My Dog Hate Me? ‘Tis the season for retrospectives, and I’ve been feeling pretty sorry for myself. Many of my prime writing markets have disappeared this past year, or have stopped using freelancers. Yes, I wrote a dog book that’s been well received, and that’s exciting. So was launching this blog. But they don’t pay the bills and won’t for a while, if at all. And, as yesterday’s guest post at MyItchyTravelFeet.com reminded me, I used to be able to escape my troubles through travel. I’ve never grudged Frankie his care, but his diabetes has definitely put a crimp in my globe-trotting. In the midst of this self-pity party, my “martyr alert” alarm went off. I realized that, in the time-honored tradition of anyone who’s ever shirked homework, I’d been blaming the dog. It’s true that Frankie is not a stellar traveler. I’ve detailed his dislike of car rides in several June posts. Getting pee strip readings of his blood glucose on the road can be difficult too. It’s also true that, if I decide to leave him at home, it’s more expensive than it once was to get someone to stay with him. Not everyone is able — or willing — to administer insulin shots. But these are simply challenges, not insurmountable obstacles. 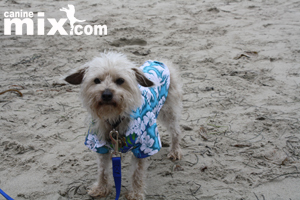 Frankie did fine in San Diego, and bounced back quickly from any stress that might have affected his blood sugar levels. And if I do what I used to do — that is, vigorously pursue new markets for articles — I should be able to earn back any dog sitting fees I incur. Alternatively, I can take a new direction and try to arrange talks and/or book signings in places I want to visit. The bottom line: I’ve been using Frankie’s diabetes lately as an excuse for not facing my fears about this brave new world for writers. That’s got to stop. Frankie is way too small — and way too flexible — a pup to serve as a crutch. #1 – Enjoyed your guest post on MyItchyTravelFeet AND you turned me on to a new blog to follow. #2 – Did not know Frankie had diabetes … sorry about that. #3 – Everything happens for a reason. You are a wonderfully talented writer, so I will choose to imagine that your situation will improve. In the meantime, please let us know if there is anything GoPetFriendly can do to help you with your travel plans! Rod, thanks for all your encouragement and your offer of help! Yes, MyItchyTravelFeet is an excellent blog. As for Frankie’s diabetes, I decided early on that, while I didn’t want to focus on it, it’s an important part of our lives together so I do write about it when relevant. I want other owners of diabetic dogs that they’re not alone in their worries/caretaking duties and that it does become routine. And also that it’s ok to wallow in self pity — for brief periods! 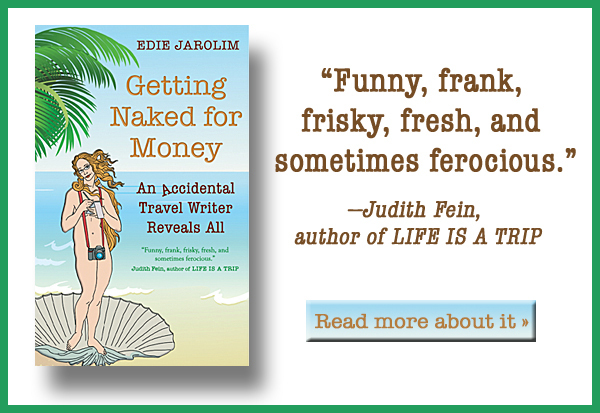 short of getting your book adopted by the Veterinary Behavioral folks, and an endorsement by a high-profile celebrity spokesperson – how ’bout selling racy pix of Frankie – just love today’s, those bermuda shorts and that San Diego look. so perfect. Yes, I’m waiting for Oprah or Ellen to endorse — I don’t think the AVMA has that much clout, sadly. As for Frankie the dog model, he’s not a very good bargainer. He has been on a greeting card, wearing fetching Mardi Gras attire — see http://www.quotearts.com/bp489hb.html — but did he demand royalties? Noooo…. Even since I read this post yesterday I’ve been pondering the shrinking demand for freelancer writers. I’m so sorry. What bummer for you, Frankie (unless he finds a job) and the rest of the world who benefits from your terrific writing. But, no matter what, have a wonderful new year! I’ve so enjoyed getting to know you on Twitter and your blog. I hope there are unexpectedly wonderful opportunities waiting for you. What a nice thing to say, Deborah. As always, I appreciate your support. Getting to know you on Twitter and on your blog — that would be http://www.boulderdog.net for the uninitiated — has also been a real treat for me. Your posts are always thoughtful and smart — and often hilarious. All the best to you and Sadie for the new year, too! We were lucky that Chris was very mellow about travelling and about his diabetes. He had injections and meals every six hours so four times a day. When my father passed away in 2006, we packed up Chris’ prodigious meds, his insulin, syringes, multi-part food arrangements (canned food and cottage cheese mixed together at meal time), measuring cups, meter and test strips, bed, bowls… there was hardly room for us in the car!… and drove 1,200 miles to the funeral. My husband spent time with him and then he napped in the car for the service (fortunately it was spring in Montana so he could stay safely in the car). I’m sure it was quite a sight us parked at some roadside stop mixing up bowls of canned food and cottage cheese, testing his blood sugar, and injecting him. It would have been just fine but for the icy wind! I froze my fingers off but Chris was fine. Chris was blind by then and not in the best of health but he was a trooper, staying in motels, finding spots to do his business, and even playing in the snow. It is a lot easier to travel with a very mellow diabetic dog. Our Jack, who is young and healthy but far more high strung, is more challenging a traveller than Chris was even with all his meds. I am curious to see what the world holds for us all economically in the coming year. My income will be impacted more next year I think than it was this year as some income sources are facing layoffs and are withdrawing work they used to contract out. Wow — shots/meals four times a day and a 1200 mile trip! I will never feel sorry for myself and Frankie’s twice-a-day shots and occasional 7 hour trip again. Yes, it’s true, we do what we have to do for our dogs, but your take-it-all-in-stride attitude is impressive. I’m very glad you have a husband who helps out and supports you. So many times I read stories about people who not only take care of sick dogs but deal with spouses who exacerbate the problem. All the best of luck to you in the next year; here’s to holding on to your contract work and getting more.